I was voted Quad-Cities Favorite REALTOR® because I care about helping people with their Real Estate needs! Relocations, Military Transferees, First Time Home Buyers, and New Construction are my specialties! If you are looking to buy Real Estate, I will assist you through a strategic system to find properties that meet your needs. I will assist you with the financing process to secure a loan with not only the best interest rate, but the lowest closing costs. I will tour the properties with you, discuss the properties' positive and negative features, and deliver a Seller's Disclosure of Property Condition for your review. I will review inspection options with you as we write your offer to purchase and negotiate on your behalf to obtain the best deal. I will follow through after acceptance of the offer by monitoring the process, insuring that everything is accomplished per the contract through the closing! If you have Real Estate to sell, I will assist you through the process with an accurate Competitive Market Analysis that will price your property to sell without giving away your hard earned dollars! I will insure all disclosures are properly completed to protect you. My comprehensive marketing plan will get your property SOLD! Please call me at (563) 650-9597. 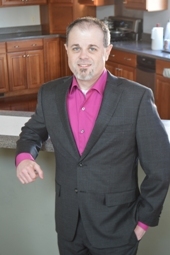 *My Team has Over 50 Years of Real Estate Experience! *Voted "Quad-Cities Favorite REALTOR®" By The Quad-City Times Reader's Choice Poll in 2005, 2007, 2008, 2010, 2012, & 2013! *Over 15 Year Recipient of Mel Foster Co.'s Top Award Level "Chairman's Club"